1. Set aside a time to write and keep it sacred. Make this a time when you know you are at your best and feel most creative — Saturday mornings, late at night, whatever works for you. Make writing a priority and arrange other parts of your schedule around it. 2. Remove all distractions while you write. Turn off the television. Don’t answer the phone. You may need to set your writing time at a time when no one else is around to help you avoid being distracted. Know generally where you want your story to go. Sometimes stories and characters develop in unexpected ways, and you need to allow for that. But keep your guiding plan in mind. 4. Avoid the intimidation of a blank computer screen. Just start writing. Try freewriting about the plot of the story or a character to get “the flow” started. Begin a dialogue between two characters and see where your flow takes you. Sometimes that ends up in an embarrassingly bad scene, but that bad scene may just have the seeds of something a lot better in it. Once you’ve got something written, you can always improve it, but you have to get something, anything, written first. 5. Keep a draft mentality. Nothing you write has to be permanent. Everything can change. If you get into a good flow and there’s a word that you just can’t think of, don’t interrupt the flow by pondering over the word or going to the thesaurus. Leave a blank space and keep writing. There will always be time to go back and look up that word. At this stage, spelling and grammar don’t matter; just write and create. 6. Don’t feel compelled to begin at the beginning. You don’t have to write your story in chronological order during the drafting phase, especially if you know the main events you want your novel to cover. Work on the chapter you feel like working on. The first sentence and the first chapter will probably require the most work, so don’t get frustrated by trying to get them perfect before you write anything else. 7. Organize your files, especially if you are not going to write in order. Create a different file for each chapter you write. That way you can dip in and fool around with a few words or draft a scene and then save it, close it up, and move on to a different section of the story. When you can easily work on what you want, you are also preventing writer’s block. Someone once said, “Writing is revising.” Change and polish and delete and rearrange and change some more until you like the sound of the words. Often the best way to revise a sentence is to delete it. 9. Don’t be afraid of putting yourself out there. Make a list of writers who have written mediocre books (the incentive: “If HE can do it, so can I.”) Be emboldened by writers whose works don’t impress you much. The only thing they have over you is their persistence. There will always be critics, but you have to separate the wheat from the chaff: some people’s criticism means something; most people’s criticism is just so much noise. People keep writing novels despite the criticism. You might as well be one of them. 10. Only you can determine when you are finished. 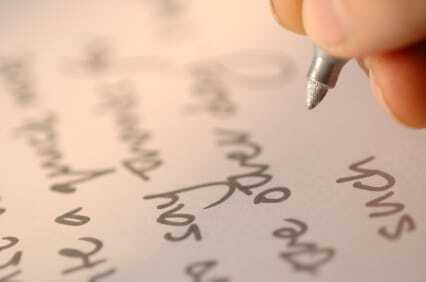 Show your writing to a trusted friend, preferably one who knows about writing. Friends are likely to tell you how wonderful your novel is, as friends will do, and this of course is not helpful at all. Read between the lines of their compliments. Ultimately, you have to be the judge of your own writing. Make up your mind to finish your novel, and you can do it. The only thing standing in the way is you. Who contains himself goes seldom wrong.